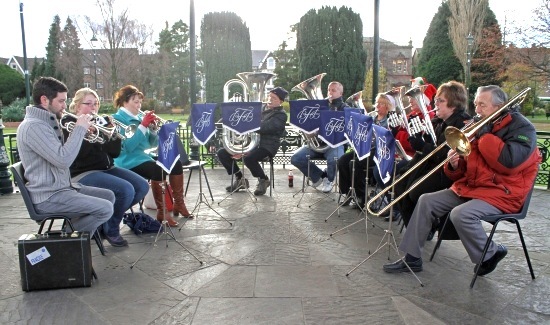 Despite the cold weather and the occasional showers of rain, the busy Christmas shoppers came into the gardens to sit and relax a while, listening to a selection of carols played by the band. 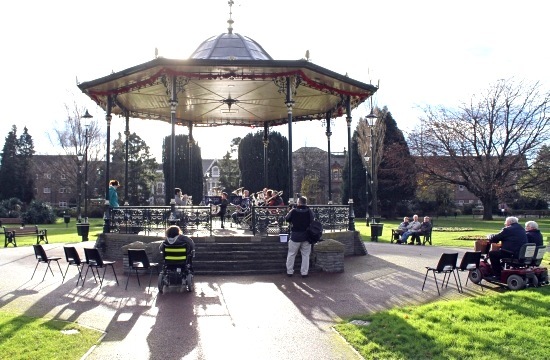 It is always nice to hear a brass band, especially at this time of the year, when you can sing-along with the Christmas carols. It brings the meaning of Christmas closer to us all, Christmas is a time to reflect on the past year, and to think of families and loved ones both home & abroad, and also the families who are in the services who are facing conflict, on active duty on Christmas day. It was a wonderful concert and the band played a good selection of well-known carols. 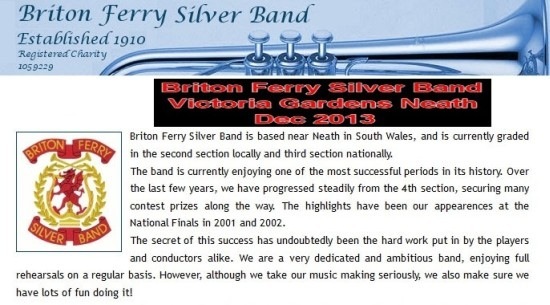 It is always a pleasure to see the Briton Ferry Silver Band and hear them in the bandstand at Victoria Gardens throughout the year.